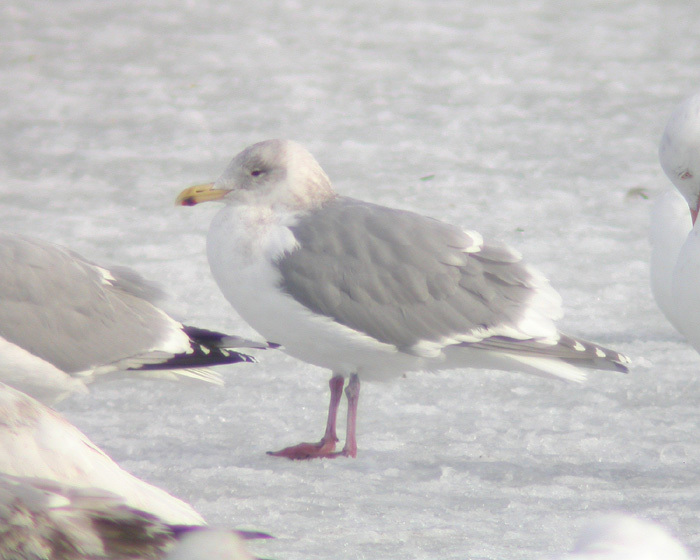 This adult Glaucous-winged Gull was present in St. John’s on March 21, 2006 – marking the second record for the province and one of very few for eastern North America. Origins: Breeds along the north Pacific coast from northwest Alaska to Washington, as well as northeast Asia. The species is not largely migratory and generally not recorded as a vagrant far from its normal range, so records in eastern North America are scarce at best. Record Details: Two records for Newfoundland, both in St. John’s (February 24 – March 6, 2005 and March 21, 2006). It is unclear if the same individual was involved, although both were adults.